Eric finds school tiring and a bit dull, and he tries to be as undetectable as possible. When Mr. Baker, his Able and Talented teacher, tells his class that they are going on a graduation field trip to Carlsbad Caverns, he's okay with it, although he wishes his mother weren't chaperoning. Silvia is also lukewarm about the trip, since previous eighth graders had stayed in hotels and eaten in fancy restaurants. Still, Mr. Baker's goofy enthusiasm makes the trip okay, and the group arrives for their short sty in the caves armed with flashlights and snacks. When an earthquake swallows Mr. Baker and washes the students further into the cave, things become dire. Eric's mother had just headed out of the cave to set up snacks, so she is very panicked. Eric is separated from the group, but Silvia, despite her history of anxiety, manages to rally the group, provide help, and lead them on a path hopefully out of the cave. Unbeknownst to the students, there is a civilization living deeper in the caves, called Medianoche. There are two warring factions, one headed by Carlos, a young king, and the other by Jana, who leads a group of people who have been ostracized by the main community. Carlos worries that the earth quake is punishment for his failure to condemn two of Jana's people to death. When Carlos finds Eric, he wants to help him leave the cave (which is rife with killer spiders, beetles, and experiencing aftershocks of the earthquake! ), but also find his friends before Jana does. Supplies run short, flashlight batteries run out, and there is danger at every turn. 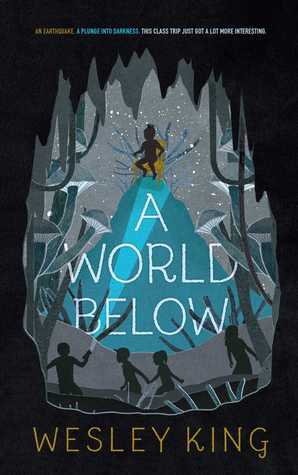 Will the students ever get to the surface, and what will happen to the civilization below ground once they do? Strengths: This started off with a brief note saying that all of the students on the field trip should be considered deceased! That got my attention. The introduction of Carlos' world almost lost me, but was brief enough, and I was intrigued by Eric's attitude towards school and his isolation. The story about his father's departure added a nice bit of character development, as did Silvia's problems with anxiety, and it was great to see how well she coped. The details of all of the dangers underground were what will make this an easy sell to students, and the twist at the end involving the reasons that Carlos' people were underground was clever. I loved Mr. Baker! What I really think: Definitely purchasing! We are going to say this is fantasy because of the underground civilization and the giant killer bugs. Kiranmala has always been irritated by her parents' insistance that she be an "Indian princess" for Halloween, since her life is anything but princess-like: her parents run a convenience store, and their house is the only run down one in the neighborhood. She enjoys hanging out with her friend Zuzu, but runs into some problems with a mean girl in her class, but that is of little consquence when she returns home to find her parents gone and a cryptic note left on Halloween night, which is also her 12th birthday.Things move quickly from there, with two boys, dressed as Indian princes, show up at her door. Neel and Lal are cute but annoying, but when a rakkhosh attacking her house! Luckily, the princes have swords as well as flying horses, and tell Kiran that her parents have been sucked into another dimension, and in order to rescue them, she needs to travel with them. They manage to get through the portal in the Kingdom Beyond, and go to the princes' palace. Unfortunately, Neel is the son of a demon, so even though he is older, Lal is the heir to throne. Due to Kiran's inexperience with their world, Lal and a friend of his are turned into gold and silver spheres by a demon, so Neel must rescue them while helping Kiran with her parents. There are lots of adventures, creatures to be fought, and secrets to discover along the way. There is a sample of the first chapter of the next book at the end of this one, but I can't find a title or date of publication. Strengths: Lots of action as well as demon snot. How can you go wrong with that? Kiran is a great character who doesn't want to be saved by the princes, and her acceptance of the fantasy world crashing down around her is realistic and humorous. 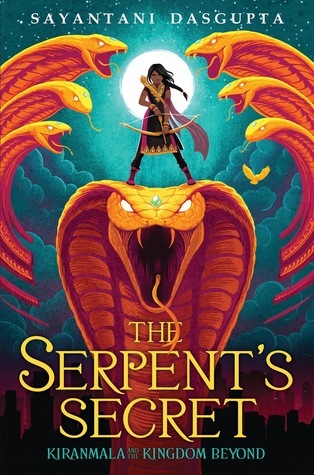 I love that we are seeing more #ownvoices books with different mythologies. The notes about the traditional stories at the back of this book were helpful. Weaknesses: I could have used a little more set up at the beginning, but middle grade readers will not mind the lack of build up as much as I did. I really wanted to know more about Zuzu and hope that she is able to join Kiran on an adventure! What I really think: Definitely purchasing. In fact, I will be loaning the public library copy to a student I trust for the weekend. He's given up reading fantasy books for lent, and only allows himself to read them on Saturdays. He's been reading narrative nonfiction during the week, so he deserves a treat! Here's the thing: even though my family is all about Star Wars, I have never even been able to watch the 1979 film past the cantina scene. Just...ugh. Boring! Now, Little House on the Prairie. That's some drama and adventure! Even if I'm not allowed to like that any more, it is my essential fandom. So I've plowed through any number of Star Wars novelizations-- the Davids' 1990s books, Jude Watson, the Journey to Star Wars: the Force Awakens books by Castelucci, Fry and Rucka that are not formatted in the same manner as this one. I loved Gray's Evernight series (even though it was vampires, which also don't do much for me), and this book seems like it captures all the Leia qualities that fans really like. But please don't ask me to explain it. If you don't know the movies, this one is a little harder to follow. Sort of like Bardugo's Wonder Woman. Yes, it hangs together well without the background, but I spent the entire time thinking that I was missing something, which, of course, I was! Fans must have. 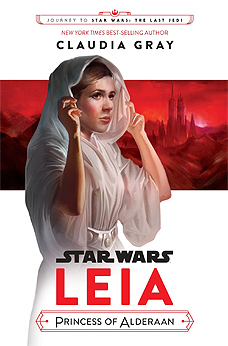 I will probably buy this, since it showcases Leia for a change. Boring? BORING?? How could Star wars ever be boring? Ah, we are never going to agree on this. Though I totally agree with you about Little House. These other books look good but I've got such a TBR list that I doubt I'd ever get to them. Especially with Harry Potter staring me down. These are some great recommendations, some I've read/seen, some I have not. There is a book circulating in my classroom right now, Adventures of Little Yaga. It's really popular with my 6th graders. I perused it and it looks like a great adventure story mixed with some Russian folklore. You should check it out. I think I'm going to pick it up for my niece! One of my parents sent me the link, http://omilla.net. Happy Reading! !